Mee Learn is is a set of interactive games for pupils from the 1st grade to K12. It allows them to learn and test their knowledge in mathematics, French, English, physics, chemistry and biology. Surprisingly, the team behind meeLearn – Frederick H. E. GABA, Florentio Ulrich DE SOUZA, Laurel O. GBENAFA and Oliver NDECKI – was formed following a meeting at the HackXplore hackathon at the Forum Mondiale de la Langue Française in Belgium. Students at NIIT, Frederick and Laurel already developed several apps including Da’Karapid, a game that permits to discover the crowded streets of Dakar in Car rapide. Andando has been very successful on the startup scene in Senegal and beyond. 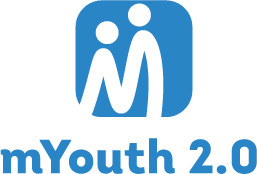 They were selected to represent Senegal at Slush in Finland and are shortlisted at WSYA 2016. Andando is a mobile platform for carpooling that reduces travel costs and contributes to preserving the environment. 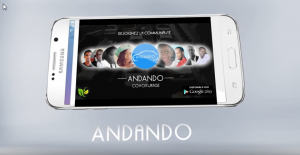 Andando is a mobile application developed by students from UCAD. CasaTour is an application created by students of Assane Seck University in Ziguinchor, promotes tourism in Casamance. This app helps provide more information about cultural events, tourist sites, hotels and restaurants in the region of Casamance. 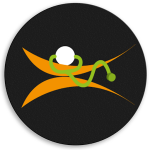 Saytouma is a mobile application that allows daily monitoring of diabetic and hypertensive patients. It is an innovative project that allows transmission of real-time constants, permanent monitoring of patients and has the ability of anticipating severe medical cases. Saytouma platform is intended for patients suffering from diabetes, hypotension and hypertension. It relates the different actors involved in the management process of these particular patients (diabetic and hypertensive).